HomeScene NewsScene News: Jazz it up with CHICAGO this summer in Melbourne! Scene News: Jazz it up with CHICAGO this summer in Melbourne! It has been confirmed today that the multi-award winning, record breaking musicalCHICAGOis coming to Melbourne next summer! 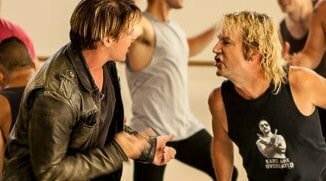 Produced in Australia byJohn FrostandSuzanne Jones, this Australian production will premiere at Sydney’s Capitol Theatre in August before the Brisbane season in November at QPAC’s Lyric Theatre and culminating in a season at theState Theatre, Arts Centre Melbournefrom December. The sassy musical will star some of Australia’s most talented performers. Starring as the irreverent and determined Roxie Hart, is one of our most versatile entertainers,Natalie Bassingthwaighteand joining her as the empowered and glamorous Velma Kelly is musical theatre starAlinta Chidzey. Much adoredCasey Donovanjoins the duo as the tough and sassy prison warden Matron ‘Mama’ Morton. TheKander&Ebbmusical has been seen by over 31 million people worldwide in 36 countries and is the winner of six Tony Awards, two Olivier Awards and a Grammy Award.CHICAGOcontinues to play on Broadway and around the world in multiple languages and is the longest running American musical in Broadway and West End history. Natalie Bassingthwaightejoins the cast as Roxie Hart having developed a rich career as an actor, musician and TV presenter. The multiple Logie Award nominee has vast acting credits in film and on television including her successful run onNeighboursas Izzy Hoyland. Natalie was the host ofSo You Think You Can Danceand a judge onThe X Factorin both Australia and New Zealand. As the front woman for Australian pop dance group The Rogue Traders she went on to dominate the pop music charts before she also released her solo album which debuted at Number 1 on the ARIA charts. She turns full circle returning to the stage after commencing her career in musical theatre productions such asRent,GreaseandFootloose. Joining Natalie as Broadway’s most infamous femme fatales isAlinta Chidzeyin the role of Velma Kelly.Alinta has forged a most successful career in entertainment from her acting credits inWentworth,NeighboursandWinners and Losersto her album releases as a Jazz vocalist and songwriter. She has most notably earned her position as one of Australia’s true leading ladies of the musical theatre stage having performed as Anita inWest Side Story, Mary Magdalene inJesus Christ Superstar, Kathy Selden inSingin’ In the Rain, Magnolia inShow Boatand joined Hugh Jackman on stage in hisBroadway to Oztour. Playing Matron ‘Mama’ Morton is powerhouse vocalistCasey Donovan.She is best known to Australian audiences after winningAustralian Idolas a 16 year old in 2004.Since then Casey has flourished into one of the country’s most in demand performers. She continues to release music after her ARIA Number 1 debut album and tours extensively playing live around Australia. She won the title onI’m a Celebrity Get Me Out of Herein 2017 whilst also nurturing a blossoming stage career which has seen her cast in musical theatre productions includingThe Flower Children,The Sapphires,RentandWe Will Rock You. Starring alongside this star studded cast is musical theatre stalwartRodney Dobsonplaying Roxie’s charming and vulnerable husband Amos Hart andJ. Furtadoas gossip hound Mary Sunshine. The wonderful ensemble cast includesAmy Berrisford,Andrew Cook,Todd Dewberry,Samantha Dodemaide,Ben Gillespie,ChaskaHalliday,Travis Khan,Hayley Martin,Kristina McNamara,Joe Meldrum,Tom New,Jessica Vellucci,Romina Villafranca,Rachael Ward,Zachary WebsterandMitchell Woodcock.Further cast will be announced soon. 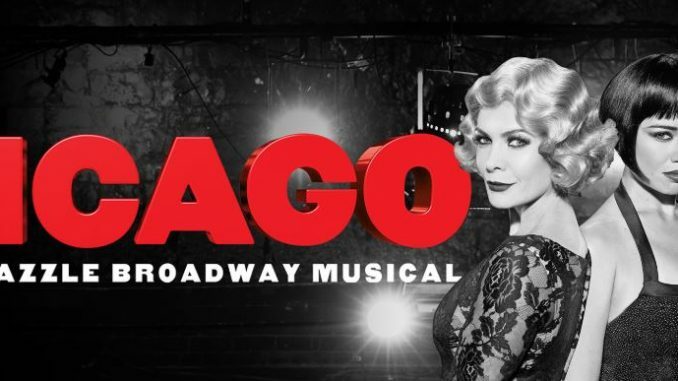 Set amidst the razzle-dazzle decadence of the 1920s,CHICAGOis the story of Roxie Hart, a housewife and nightclub dancer who murders her on-the-side lover after he threatens to walk out on her. Desperate to avoid conviction, she dupes the public, the media and her rival cellmate, Velma Kelly, by hiring Chicago’s slickest criminal lawyer Billy Flynn to transform her malicious crime into a barrage of sensational headlines, the likes of which might just as easily be ripped from today’s tabloids. CHICAGO, which is based on the 1926 play byMaurine Dallas Watkins, has a legendary book byFred EbbandBob Fosse, music byJohn Kanderand lyrics byFred Ebb. The 1996 Broadway revival ofCHICAGOis choreographed by Tony Award winningAnn Reinkingin the style ofBob Fosseand is directed by Tony Award winnerWalter Bobbie.CHICAGOfeatures set design byJohn Lee Beatty, costume design byWilliam Ivey Long, lighting design by Tony Award winnerKen Billington, and sound design byScott Lehrer. Whether you’re looking for your first Broadway musical, whether you’ve seen the Academy Award®-winning film and want to experience the show live on stage, whether you’ve seen it before and want to recapture the magic or whether you are after a perfect night of pure entertainment,CHICAGOalways delivers.